An Irish boxer who lived in America retires and returns to Ireland to reclaim his family heritage. "A touch O'Blarney... a heap O'Magic and A LOAD O'LAUGHTER!" "They fought like devils...loved like devils...and lived with one foot in hell!" Based on the true story of the abduction of a champion Irish race horse. "Finally, a comedy that will make you feel like a million bucks." "Choosing good is the real pot of gold!" 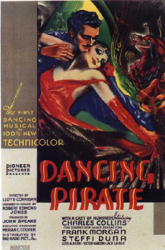 A dancing Instructor is kidnapped by pirates. Hilarity ensues when he attempts to escape in a small South American village. 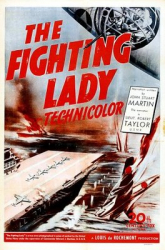 "Robert Louis Stevenson's Immortal Character-THE MOST COLORFUL PIRATE OF ALL TIME!" "We're headin' for the Laughin' Place!" Van Johnson, Lane Nakano and George Miki; A tribute to the Japanese-American 442nd Infantry Regimen and their commander, Lt. Mike Grayson - who had a lesson to learn about the ills of ethnic bias. A cowboy meets his look-alike, known as the Phantom Cowboy, who robs people. "Shirley's A Little Swiss Miss In The Loveliest Story of Her Career!" Jack Buetel, Thomas Mitchell and Jane Russell ; Howard Hughes' searing saga of the Southwest presenting two new star-destined discoveries! "Sail The High Seas Of Adventure Again!" 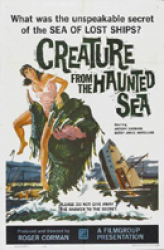 Antony Carbone, Betsy Jones-Moreland and Robert Towne -- What was the unspeakable secret of the sea? Danger holds the reins as the devil cracks the whip ! "Desperate men! Frontier women! Rising above their pasts in a West corrupted by violence and gun-fire!" About the aircraft carrier USS Yorktown during WWII. 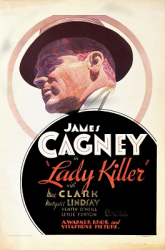 "The story of Jim Harvey...the savage terror he faced...the desert woman he loved!" 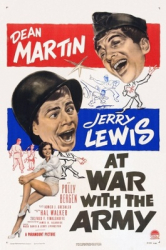 Jerry Lewis and Dean Martin team up to bring you this hilarious film depicting a couple of Army misfits. "Haunted by war, they still found something worth fighting for!" "Many men returned home from the Civil War to find only the battleground different, the cause the same. . .'kill in order to have peace' This is the story of one of these men." A girl with stars in her eyes runs off to Hollywood hoping to become a movie star, but finds that it's not as easy as she thought it would be. 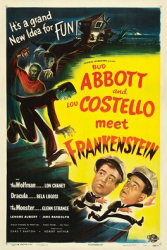 Basil Rathbone, Estelle Winwood and Gary Lockwood; The story of the bold adventurer who held a fantastic sword ... and faced the most fearsome black magic that ever gripped the screen! 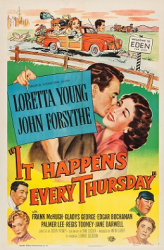 "Warner Bros. screen scoop of the year teaming Jimmie again with the girl he slapped all the way from obscurity to fame in 'Public Enemy' "
"It's the LOVE affair of the generation... the LAUGH affair of the century!" 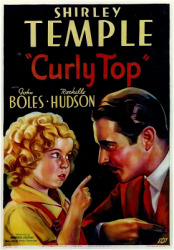 Shirley Temple stars in this story about a rich little girl who is treated poorly in a boarding school because they think she's poor. 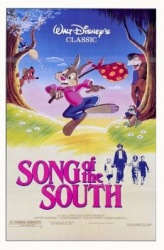 "They've got a brand new baby ... a second-hand car ... and they're stuck in a one horse town!" The vain head of a cosmetics company becomes addicted to an experimental anti-aging serum that has some horrifically unexpected results. 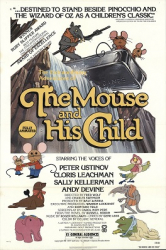 Adaptation of Russell Hoban's novel about two mechanical toy mice, and their quest to become self-winding. A tale about three good teenagers who start smoking weed and acting stupid. Believing he killed his best buddy in a shoot-out with armed robbers, a Sheriff quits to become a prospector. Ray Danton, Dewitt Lee and Troy Nabors; What 'Dirty Dozen' almost was ... What 'Billy Jack' could have been! "Giant spider strikes! Crawling terror 100 feet high!" Leonard Nimoy is Kid Monk Baroni, the leader of a street gang who becomes a professional boxer to escape his life in Little Italy New York. 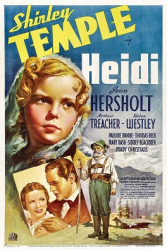 When a man hires hostile Indians to attempt to stop a telegraph line from being erected, the film's hero is sent out west to protect the construction of the line. Kate Smith sings God Bless America in this star studded musical tribute to America's Soldiers. "Hair raising... Howl raising... HILARITY!" 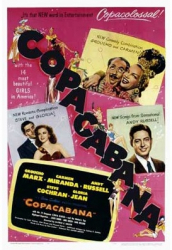 Starring William Powell & Louise Brooks -- Which cat killed the Canary? 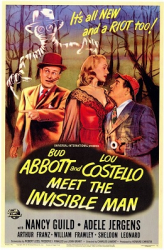 Roy Rogers, George 'Gabby' Hayes and Sally March; A Confederate Officer during the Civil War must put an end to the outlaw gangs working under the masquerade of serving the Confederacy. "GREGORY PECK, AS CAPTAIN LANCE, WHO GAVE FORT INVINCIBLE ITS NAME!" A MIGHTY EPIC OF THE SEA THUNDERS TO THE SCREEN! 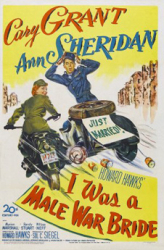 Cary Grant, Ann Sheridan and Marion Marshall; During the war, two military officers who can't stand each other end up married. 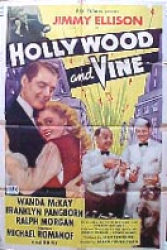 The fun continues after the war when he tries to enter the US under the War Brides Act. The daring and handsome Captain Scarlett rescues the beautiful Princess Maria from having to marry someone she doesn't love in this fun swashbuckling romance. 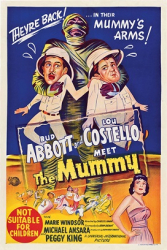 50 movies so bad they're good - and some of them are playing here at Classic CInema Online!